The Daisy model "remodeled". When you walk into this beautiful home, you instantly notice the expansive openness and the view. Owners took out the wall that the Daisy model home kitchen at the sale office comes with and wow, it turned out so great! The home feels so much bigger. Also the double sliding glass wall makes it even feel bigger, showcasing the view and the oversized yard. The kitchen has extra cabinets for more storage, as well as a Double Oven. 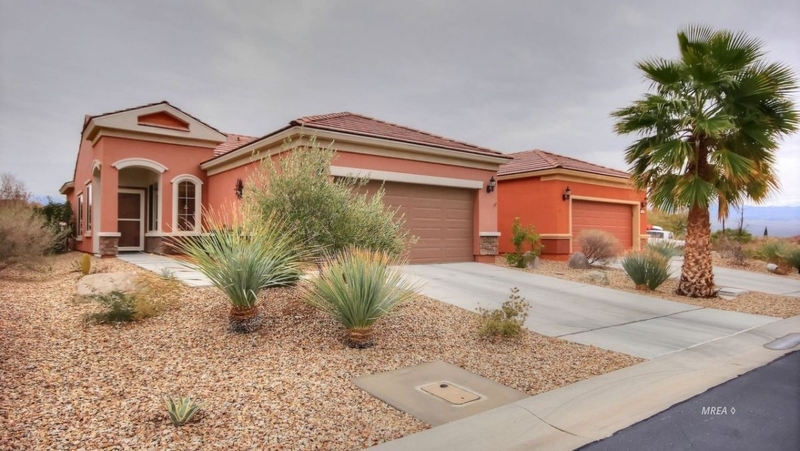 You have to see this home, especially if you want to be in Sun City. Its a perfect retreat for a Snowbird, or a great forever home for you! Tile Floors, window coverings that are elegant, pendant lights highlight the granite in the kitchen. Just a beautiful home all around. Water Heater and AC unit were replaced in Feb 2018.